Today we are so honored to feature some kind words from one of the most legendary figures we have had the pleasure of featuring here on Trainwreck’d Society. 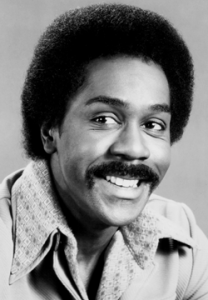 Today we are sharing words from the legendary actor Demond Wilson! Demond is most likely known for his role as Lamont Sanford on the legendary television show Sanford and Son, which was a very important show to me growing up, for so many different reasons. This show taught me so much about race, relationships, and really just comedy in general. Which are some topics that are discussed in these amazing words from this legendary figure below. 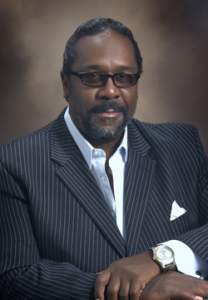 Since Sanford and Son, Demond has gone on to do some amazing work not only in the world of film and television, but in philanthropy as well. All of which will be discussed in this wonderfully candid interview we have to share with you all today. We are so excited to have Mr. Wilson on the site today, and hope that you all enjoy some amazing words from a man who is an absolute living legend. 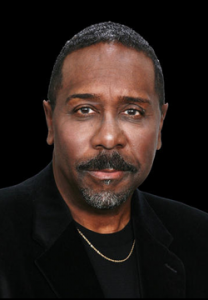 So, without further babbling, please enjoy some great words from the brilliant Demond Wilson! I understand that you began performing at a very young age. I am always curious as to what compelled you to begin working in the world of acting at such a young age? And what was it that kept you working in this world? My parents recognized I was talented as a toddler and placed me in the Hoskins School of Culture which specialized in dance/elocution which led to radio spots at the age of 8 and later a Broadway show. 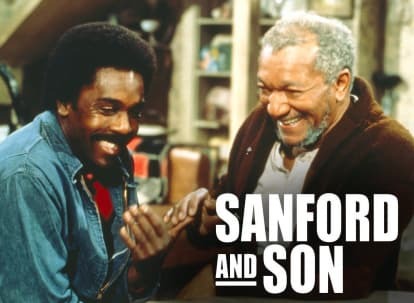 As a lifelong fan of Sanford & Son, I know why I find to be special and one of the finest programs in television history. But, as one of the legendary figures that made the show amazing, I am curious to know what it is about the program that sets itself apart from others? What is it about Sanford & Son that makes it still remain a classic? It was about the love of a parent to a child which transcends time, race, and gender. It could have been a mother and a daughter. It reveals the undying love of a parent to a child in a comedic way. Our personalities and the brilliant comedic talent of Redd Foxx who put the Character of Fred Sanford on like a tailored made suit. In your truly amazing career as a performer, you have had amazing success in television, film, theatre, and more. When you look back on your many accomplishments, what field would you say you are most proud of? Beyond the world of performances, you are also an accomplished author, as well as a devoted minister. You combined these two with your book you released 20 years ago entitled The New Age Millenium: An Expose of Symbols, Slogans and Hidden Agendas. I am curious to know what inspired you to write this book? And for those who may not have been able to check it out yet, can you tell us a bit about it? The subject matter contained in The New Age Millennium labeled me (20) years ago a “Conspiracy Theorist.” Now the book has relevance in that which hidden to the general public is now plainly taking place. I am very intrigued by your work in the world of philanthropy as well, especially your work with the Restoration House, which is a program to rehabilitate prisoners, and is extremely important and honorable. What was it that made you want to begin doing this work? It started as I visited major penal institutions across the nation while ministering. And realizing not all incarcerated are arch criminals who once released have few alternatives. I will be in NYC on Nov 1st. They are awarding me a special comedy TV award at the 2nd Annual LOL award ceremony. The last thing that made me smile was the knowledge that the path my life has taken was indeed going in the right direction!